The next IGDA PHX meeting is on December 5th, 7:00pm! Less than a week away, and approaching fast! Sorry about the late notice. You’re going to want to park in the visitor parking which is Lot 18. 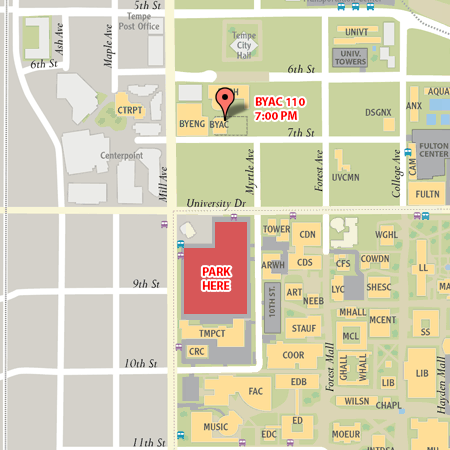 You can also park in Lot 16 which is free starting at 7:00pm. Note that there are multiple “lots” in that parking area, so make sure you end up in either Lot 18 or Lot 16. 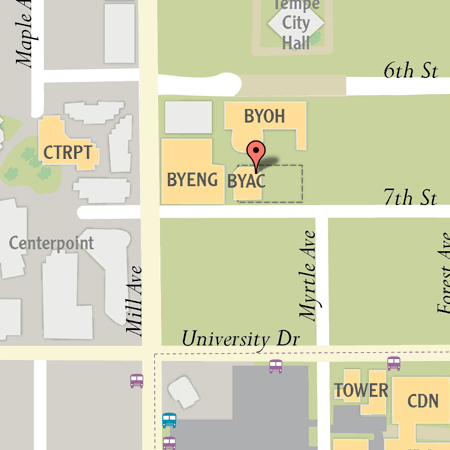 We’re going to start the meeting a little bit after 7:00pm so everyone has ample time to park and find the room. 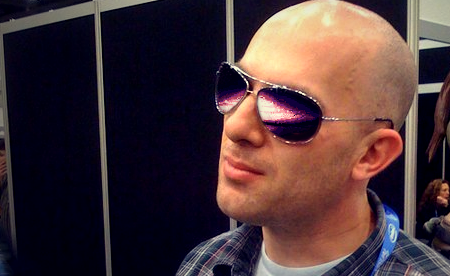 Ara Shirinian is a video game designer, writer, and co-host of Chatterbox Video Game Radio here in Phoenix. Ara is going to be expanding our brains in all directions with knowledge he has gained deep in the trenches of game development war zones. Ara also enjoys displacing massive objects and is on a perpetual spirit quest for the hottest hot sauces known to mankind. We’re also looking for someone to record Ara’s talk, so if you have the equipment and the skills then please let us know. After the talk, we’ll find some place to go for food and beverages if people are down. We’re kinda playing this one by ear and seeing how the ASU Campus will treat us for meetings, so if anyone has any suggestions on what to do afterwards just let us know. As always, if you want us to make any announcements before the talk please email us the details, or just give us a heads up that you want to make an announcement before the meeting starts. We’ll have about 5 to 10 minutes before the talk to go over announcements. We hope you’ll join us this coming Wednesday for an awesome time! tl;dr: Dec 5th, 7:00pm. 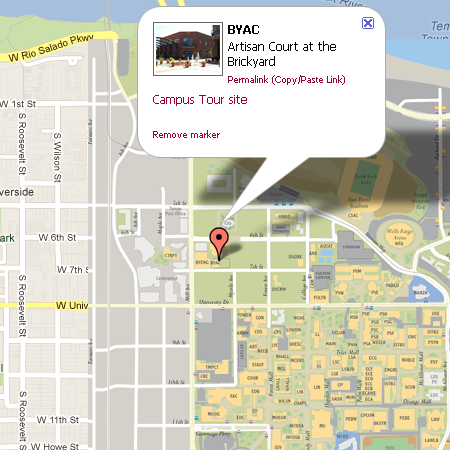 BYAC 110 (http://www.asu.edu/map/interactive/beta/?campus=tempe&building=BYAC) Park in Lot 18 or Lot 16. Ara Shirinian.